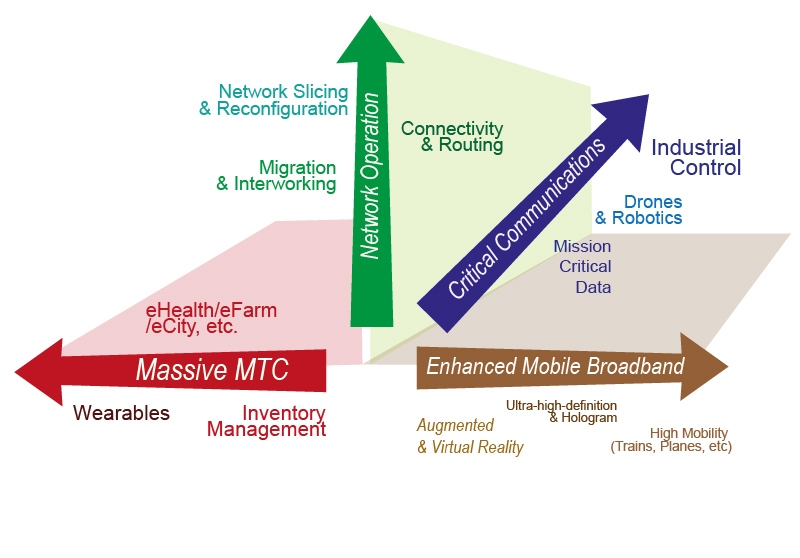 *Massive Internet of Things * focuses on use cases with massive number of devices (e.g., sensors and wearables). This group of use cases is particularly relevant to the new vertical services, such as smart home and city, smart utilities, e-Health, and smart wearables. 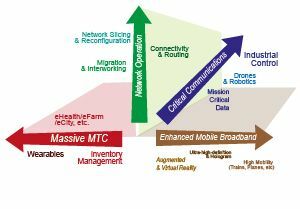 *Enhanced Mobile Broadband * includes a number of different use case families related to higher data rates, higher density, deployment and coverage, higher user mobility, devices with highly variable user data rates, fixed mobile convergence, and small-cell deployments. 3GPP SA1 is now starting to consolidate the four Technical Reports into a single Technical Specification with normative Stage 1 requirements for next generation mobile telecommunications, guiding the work of the Stage 2 and Stage 3 groups in 3GPP. Meanwhile, other Working Groups can use these four SMARTER Technical Reports as input for their studies into next generation mobile telecommunications.